PaasCroYoga 2019 will be held from Friday the 19th to Monday the 22nd of April. Arrival time on Friday is from 18:15, departure on Monday at 16:30. 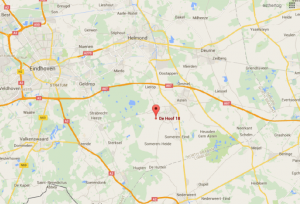 The location is the same as last years: de Hoof in Brabant. We have two big former farm buildings for sleeping and eating, two spacious sport halls for all the workshops, a kids’ room an a special area for lunar workshops. • Take bus 20 from Station Eindhoven (Hermes) direction Helmond. • In Someren get off at the stop at “het Kapelletje”. • Walk on the bike path along the ring road towards Loovebaan, direction the Texaco gas station. • When at Texaco take a right into Hoevenstraat. • At the T-junction turn right. • After 15 meters turn left (the street is called De Hoof). • The Hoof Group accommodation is located after 250 meters on the right (no. 18).